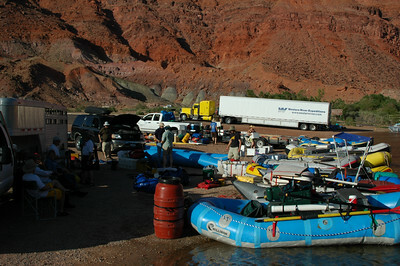 It all started with loading up the trailer and driving all our rafting gear and ourselves from Bend, OR and Lee's Ferry, AZ. 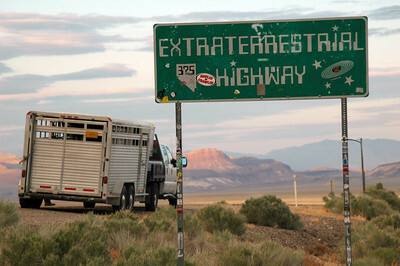 Of course once we saw the Extraterrestrial Highway was along the way as we passed through Nevada, we had to do that. 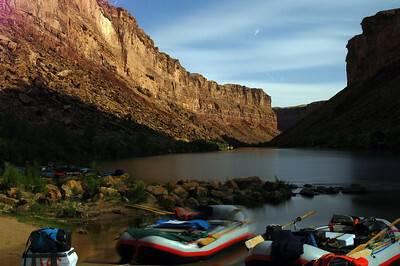 And as it turns out, it got dark, so we just pulled over and watched the stars... and the UFO's. 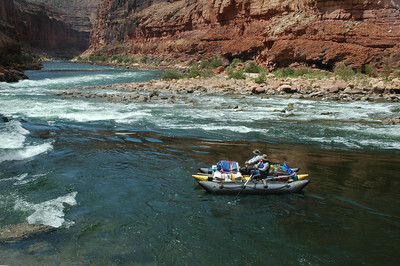 GRAND CANYON, AZ - We arrived at Lee's Ferry at noon on the day before our launch. 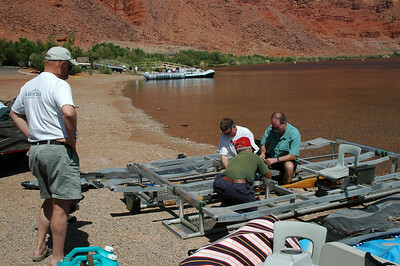 This gave us time to build the frames to our rafts and to load them up so we're all ready to roll the next morning. 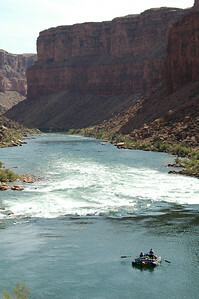 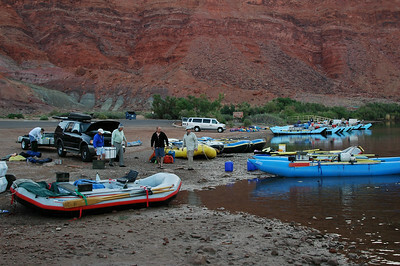 GRAND CANYON, AZ - The morning of our launch, we experienced the tide effect of the Colorado River. 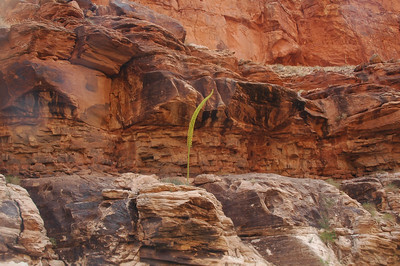 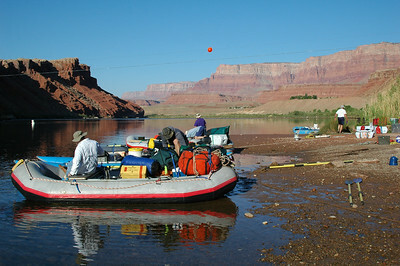 Larry's raft which was afloat the night before, was left mostly high and dry because of the flow control they have releasing water out of Lake Powell through Glen Canyon Dam not 20 miles up river. 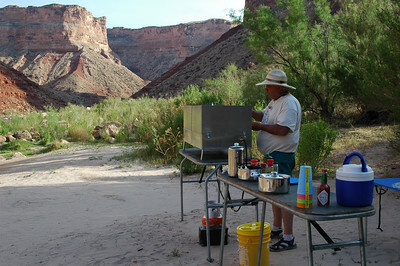 GRAND CANYON, AZ - Dan works with the ranger to get our life jacktes approved. 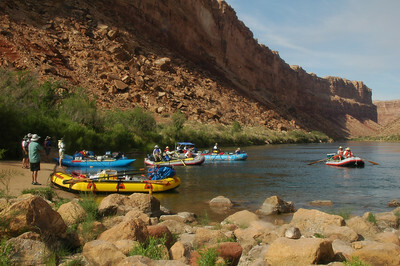 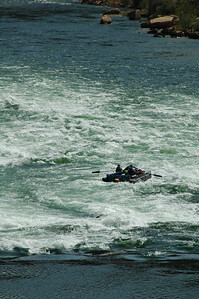 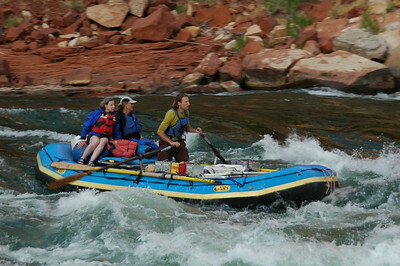 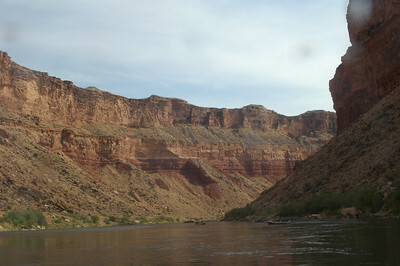 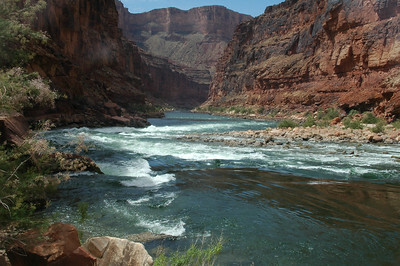 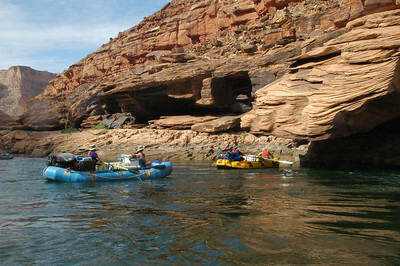 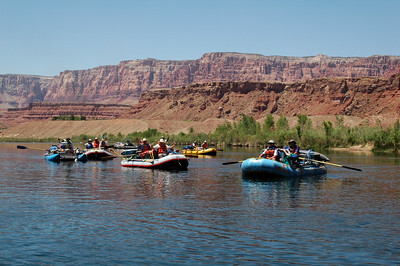 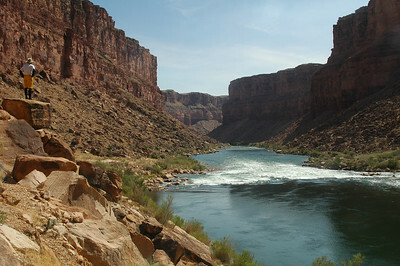 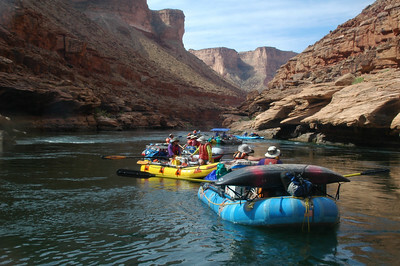 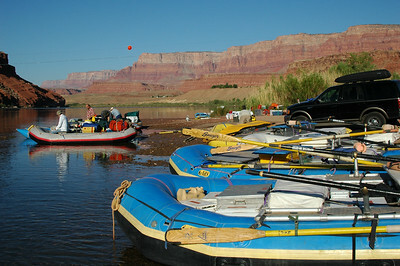 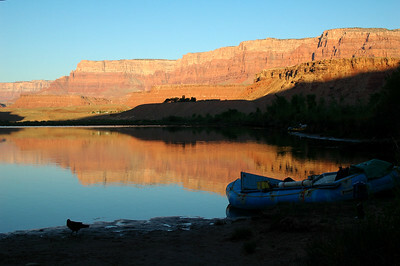 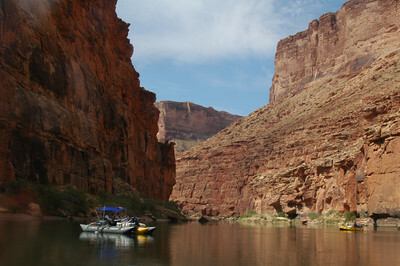 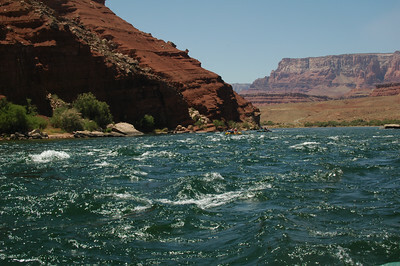 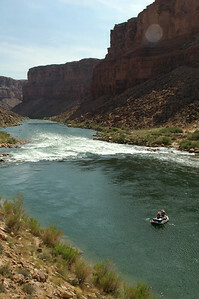 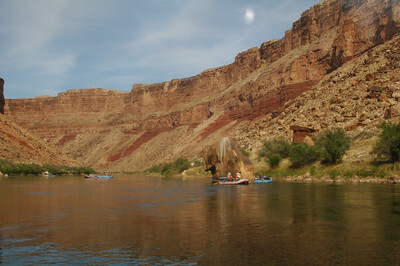 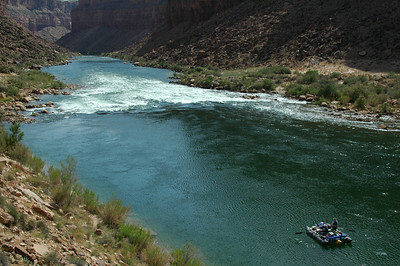 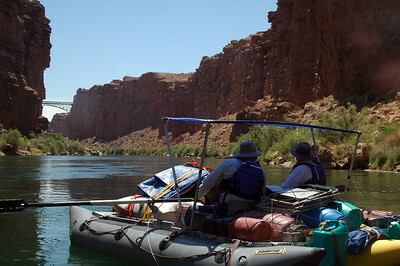 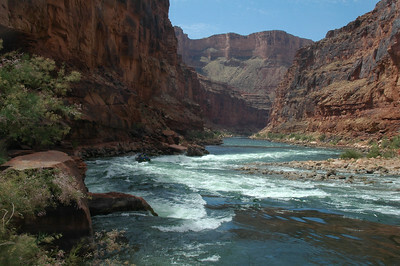 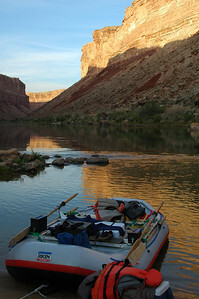 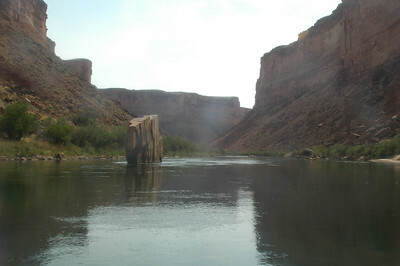 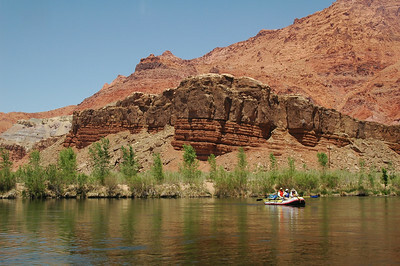 GRAND CANYON, AZ - By noon, we're finally on the water and our group of 8 rafts gather for a starting shot. 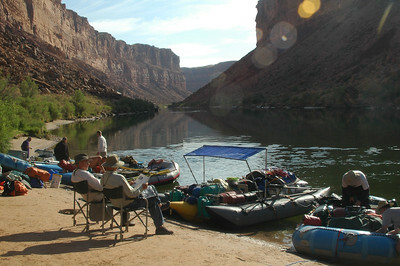 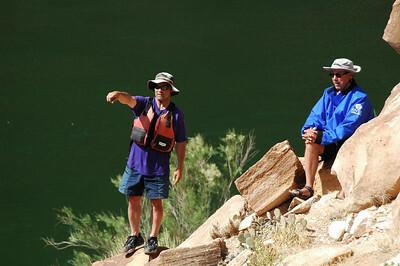 GRAND CANYON, AZ - Bob and Lynn sit comfortably under their sun shade as we float through Marble Canyon and approach Navajo Bridge only four miles down from the put-in at Lee's Ferry. 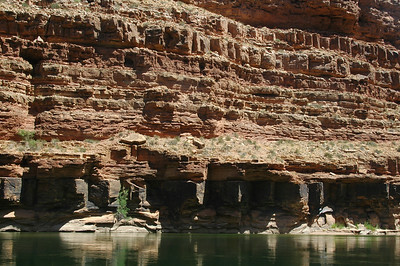 This will be one of the last man made structures we see along the river for over 80 miles until we reach Phantom Ranch. 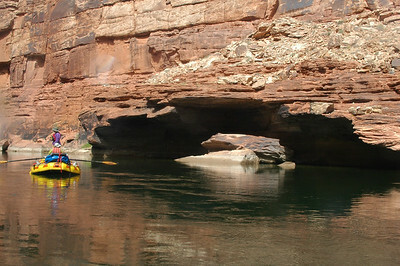 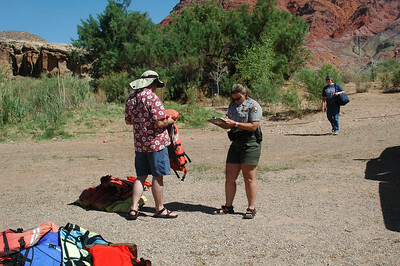 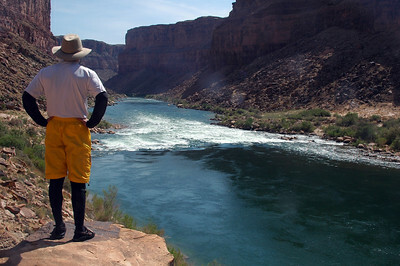 GRAND CANYON, AZ - Reene scouts out our first rapid, Badger Creek Rapid. 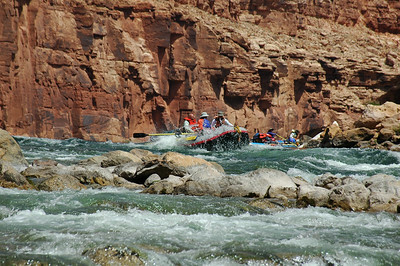 We stopped to scout out most rapids rated 6 or higher (on a scale of 10 specific to the Colorado River in the Grand Canyon. 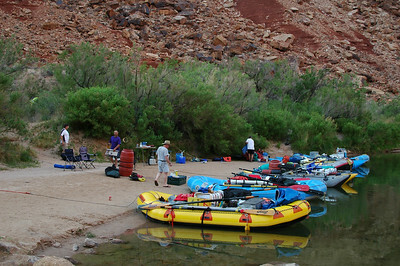 GRAND CANYON, AZ - Camp I: Soap Creek, Mile 11. 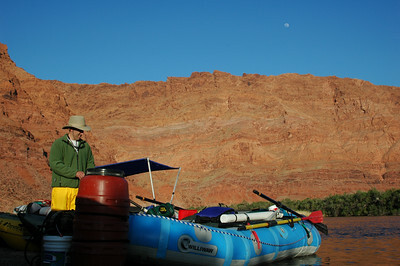 It was an easy first day, considering we didn't get started until about noon. 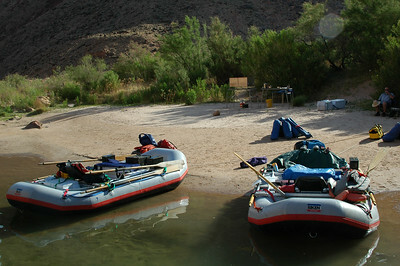 After landing, we set up the camp basics (kitchen and chairs) then sit down for a rest. 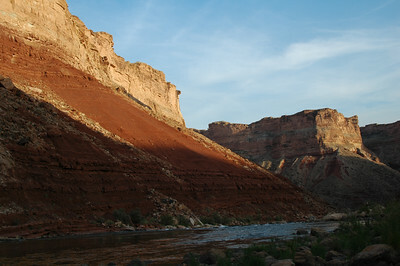 GRAND CANYON, AZ - By the late afternoon at our first camp, the sunlight has long been gone from the inner canyon and can only be seen along the rim. 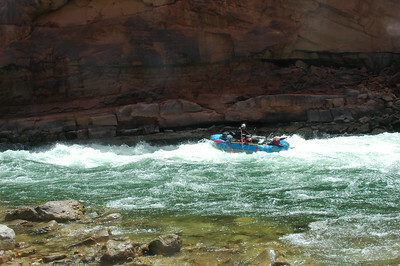 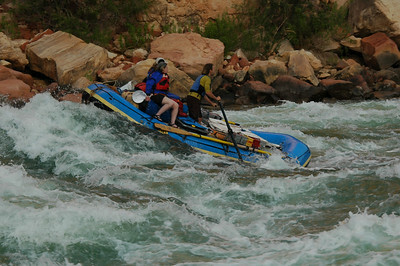 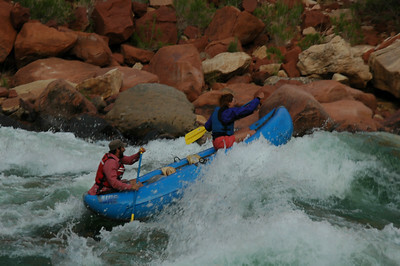 GRAND CANYON, AZ - Doug, Brian and John come plowing down House Rock Rapid.